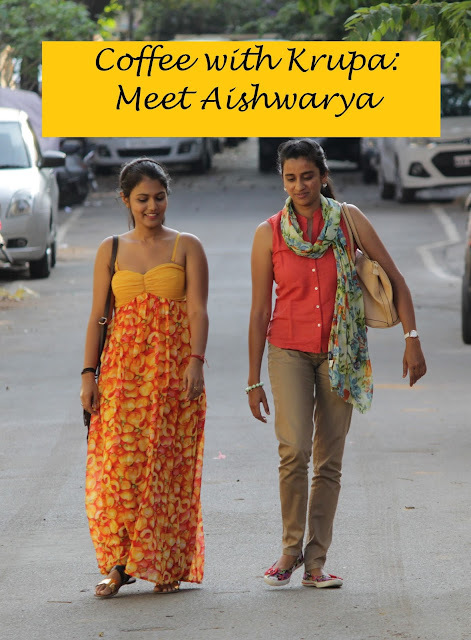 If you have been following me regularly, then you will have a fair idea of what my favourites this month have been. 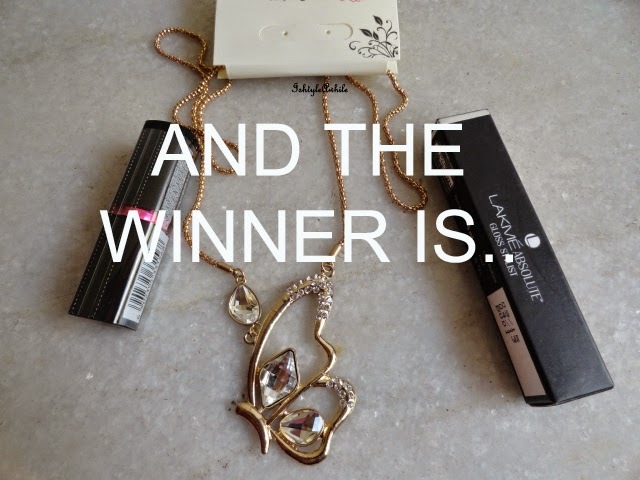 There are some accessories as well and not just makeup and skincare this month. #1. Maybelline Lip Polish in Glam 6. I have talked about this in almost every post this month and worn it every other day. It is quite obvious that I am smitten by this product. Maybe, once I am off my spending ban, I will buy another shade. #2. Maybelline Colorsensational Lipstick in Crazy for Coffee. The days that I haven't used the Lip Polish, I have worn this to work. Such a lovely everyday colour. #3. Revlon Colour Riche Le Kohl in Espresso. I use this for brows and of course when I don't want a harsh black eyeliner, this is my go-to eye pencil. #4. 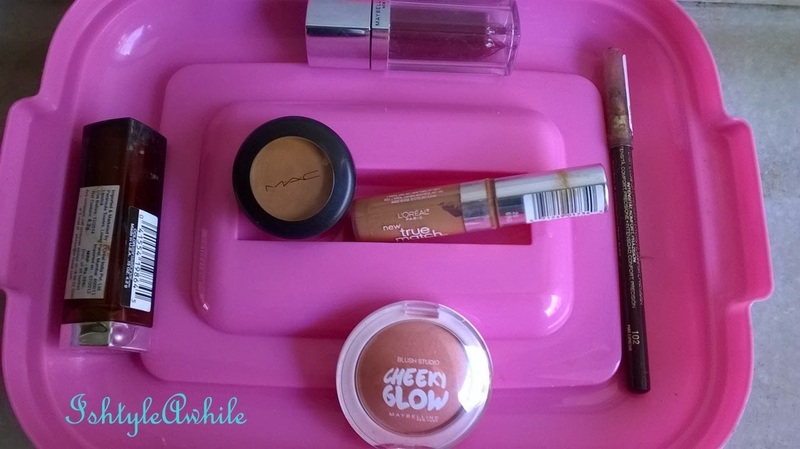 Maybelline Cheeky Glow blushes. These are my everyday blushes. Esp the Creamy cinnamon one, I find myself reaching for that more often. #5. MAC Studio Finish concealer and L'Oreal True Match concealer. Why do I have two concealers together? Well they work best for me when applied together. So they share the same spot. #6. 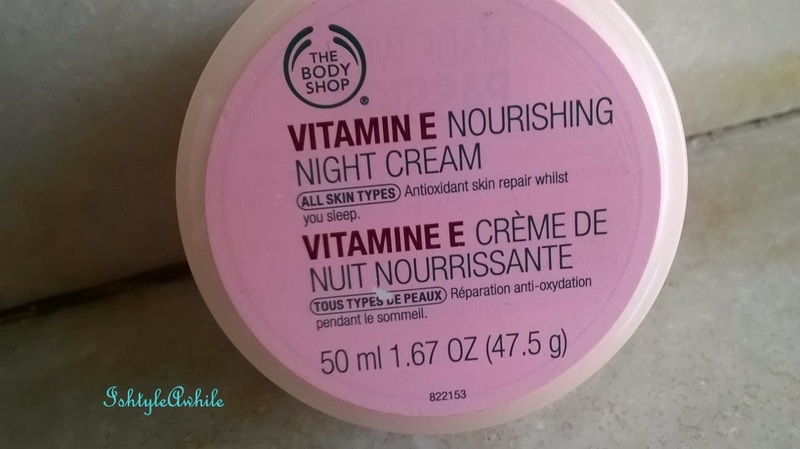 The Body Shop Vitamin E Night Cream. I have had this for a few months now but used it very religiously only this month. I love the way my skin feels so hydrated when I wake up in the morning. #7. 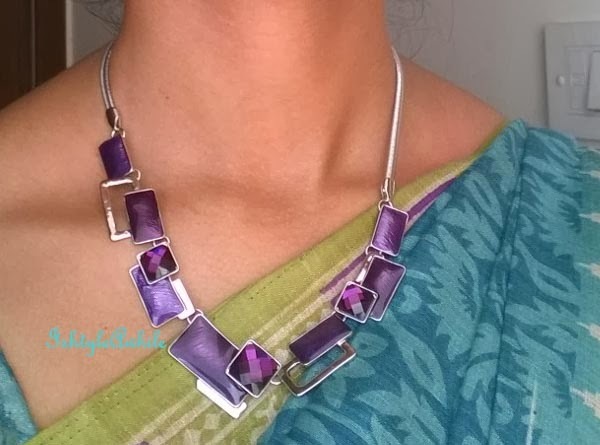 The purple geometrical neck piece. 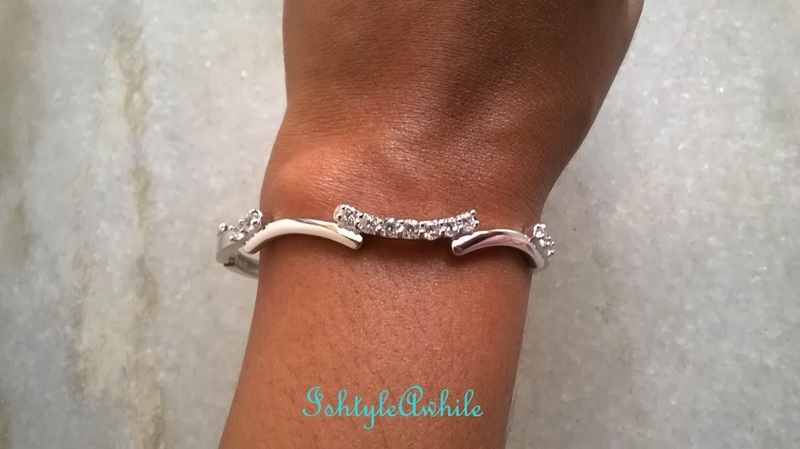 These two bracelets are the latest addition to my jewellery collection and they are the most elegant bracelets I own. 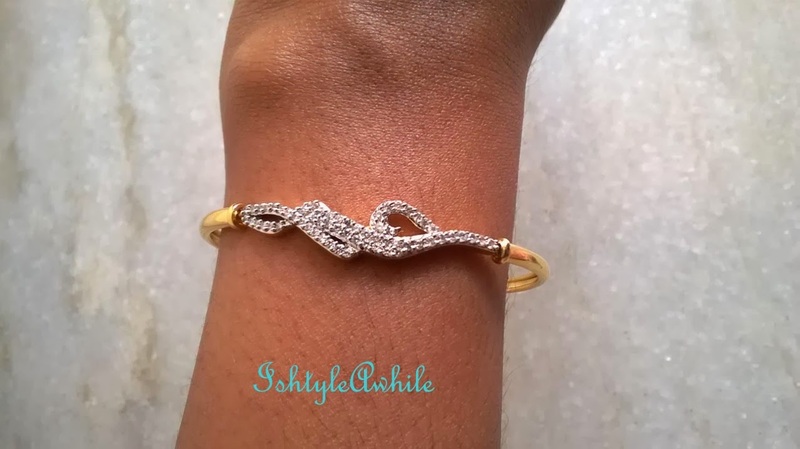 They just add this touch of femininity to any outfit. So these are my favourites for this month. What have been your favourites?? Do share in the comments.